Princess Alera lives in a world where duty is more important that anything else. She must marry a man who will make a good king and her father, the king, has Steldor lined up already. Unfortunately, Alera knows most girls in the kingdom would give anything to be with Steldor, but she can't get past his condescending attitude. As Alera is trying to buy time to find what she hope will be another possible suitor that her father will approve of, there is an enemy intruder in her kingdom. The intruder is Narian, who is about her age and holds some deep secrets. Alera can't deny her attraction to the mysterious Narian, but what about the promise to her kingdom and her responsibilities? Legacy by Cayla Kluver is the start to an exciting series that includes the very best of historical fiction, romance, fantasy, battles and a unique setting. I was completely lost in Kluver's world and simply didn't want to be found. Alera is like a character out of a Jane Austen novel, which is one of the reasons I enjoyed Legacy so much. She has bodyguards, people to accompany her places, strict social rules, and a strict dress code. I found this fascinating, especially as Alera tries to challenge the conventions of her society by breaking the mold. On the other hand, Steldor, in my mind, is Gaston from Beauty and the Beast. He's good looking, buff, and the hot leading man that everyone wants, but Alera knows how horrible and conceited he can be. Obviously, this is a huge drawback for her. Then walks in Narian, who is mysterious, elusive, strong, and the quintessential bad boy. She can't help but be attracted to him, even though she knows it's not in her best interest. I love that he challenges her, teaches her about a different way of life, and how to defend herself. Even up to the end of Legacy, I was unsure about Narian, but I, along with Alera, can't deny my interest. The setting of Legacy is what every fan of high fantasy and fairy tales dream of. It's a world with castles, beautiful countrysides, bodyguards, and kings and queens. I loved reading about the kingdom, Hytanica, and their way of life. Kluver created such an interesting world! 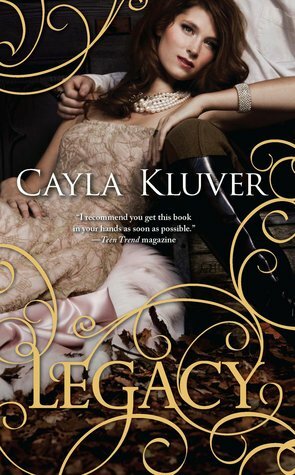 When I found out Kluver wrote Legacy at 16 years old, I was in shock. I found her writing to be impressive and I loved her use of imagery. I know many others got annoyed with her descriptions, but I hung on her every word. 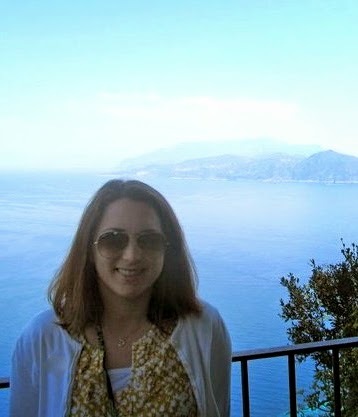 She would describe the clothing, the scenery, and the characters so well; it was easy to visualize. I can only imagine that she will become even better as she gets older. I am greatly anticipating Allegiance, the second book in this series, which comes out in February. I can't wait to get lost in Alera's world again. Legacy, in my opinion, is the love child of Jane Austen and Kristin Cashore, and if you know me, that's high praise. Great review! I haven't read anything by Kristin Cashore, but Jane Austen is one of my favourite writers. So yay!! I'm looking forward reading this book. And OMG, really, 16 years old? That's so cool. Very talented. I had no idea. Oh, this one sounds really good! The cover is beautiful, and the plot sounds great. Narian definitely was a mysterious character. I really hope we get to see more of him in the next book! I'm super curious about him. :) Great review! The cover reminded me of the Luxe-series by Anna Godbersen. Wow!!! 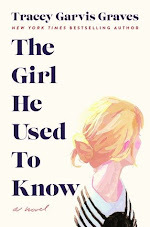 I want to read this SO badly! and now I want to read it even more! i've seen some iffy reviews of it, but I know you're a ya historical fan too, so now I'm really anxious to read it! Nina- Thanks! I think you would really enjoy this book! And I just found out she wrote it when she was 14-15! Incredible! Mrs. Q- Isn't the cover gorgeous? Thanks for stopping by! Rebecca-I think you would like it! I hope you get your hands on a copy soon! Jenny- Thanks so much! I loved the descriptions....I was surprised! Mari- Thank you!!! I hope you like it! Carrie- I know we have some of the same tastes when it comes to historical fiction/fantasy, so I think you will enjoy it! Thanks for stopping by. Christy- Narian was one of my favorite characters! I always go for the mysterious, elusive type. I hope we get to see more of him as well! I can't wait! Thanks for stopping by! Awesome review. This is the type of book that I would normally want to wait until the next book was already out but your review excited me so much. Plus, I love historical fiction so it sounds like there is something for everyone. I really need to get my hands on this book. Heard mixed things but judging by your great review it's definitely something that I should check out soon. Glad you loved this one so much! I'm not a fan of high fantasy, so I don't think it would be to my taste, although the cover is gorgeous!! I wasn't planning to read this because I'd read some negative and mixed reviews but you have changed my mind with your comparisons to Kristin Cashore and Jane Austen! I will definitely be reading this now :) Fantastic review! Oooh, this sounds good! I love a good court intrigue, and add fantasy elements on top of that, and you've got me being a very happy reader!